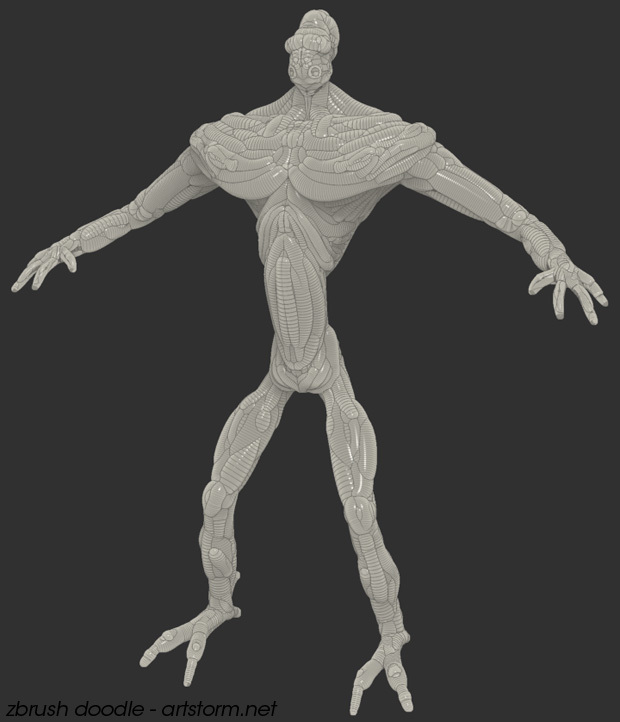 I finally had some time to play around a bit with the recently released version 3.5 of my favorite application, ZBrush. The new sketch spheres in the ZSketch mode is really interesting, and as usual with ZBrush – brilliantly fun to work with. Just a quick ZSketch i doodled together while exploring this new tool. ZBrush 3.5 is overall another impressive release from Pixologic. I love the new ZSketch mode and I hope I soon will get an opportunity to use it in production. I just wish Pixologic had updated their plugins to work with 3.5 before releasing it. I’ve come to depend on many of Pixologics plugins, so I’ll have to keep using ZBrush 3.1 in my daily work until they are updated. But til then I’ll continue having some fun with the sketch spheres in 3.5.